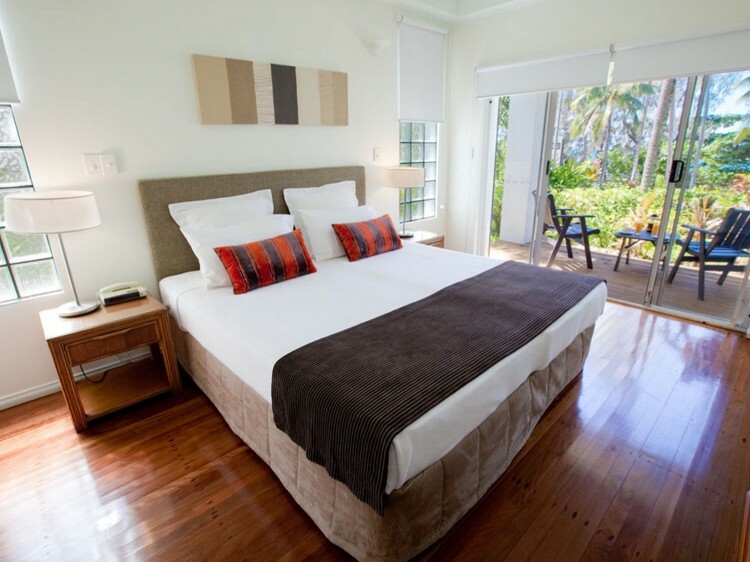 Beaches Port Douglas is located on the corner of the Esplanade and Mowbray Streets and offers spacious fully self-contained apartments for guests wanting a beachside holiday location in Port Douglas. 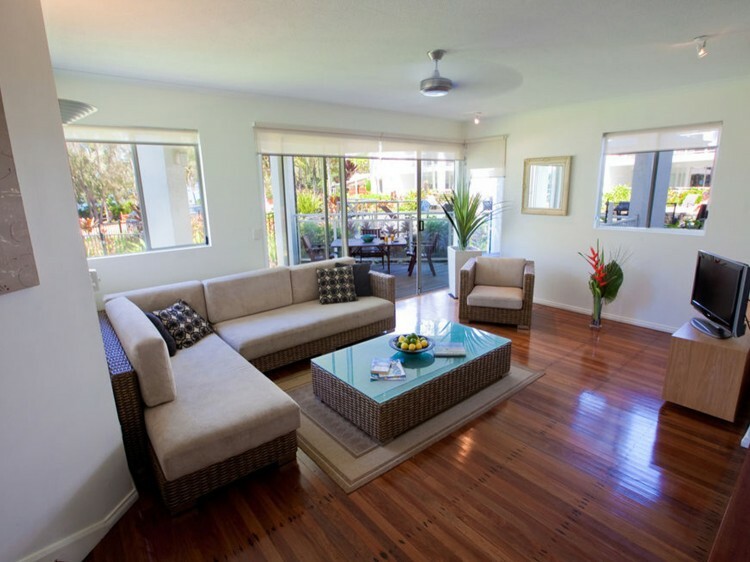 The 2 bedroom apartments are set around the heated swimming pool and jacuzzi spa and enjoy amazing views of the palm tree lined Four Mile Beach and Coral Sea. The surf lifesaving patrol area and swimming enclosure are also located across the Esplanade, so you can enjoy year round ocean swimming and beach fun. The vibrant Macrossan Street is within easy walking distance so you can relax and enjoy all the award winning restaurants, cafes and shops that Port Douglas has to offer. Within a 10 minute walk is the Reef Marina which is where all the boats depart from for an unforgettable day snorkeling and diving on the Great Barrier Reef. Please note that there is no lift access at this property. There is a small beachside café located next-door which is open for breakfast an lunch. The Surf Life-Saving club is close by and offers lunch and dinner. Located on the 1st and 2nd levels these 2 bedroom/2 bathroom apartments have private balconies looking out to across the esplanade to Four Mile Beach. The apartment is equipped with a fully self-contained kitchen, laundry with washer & dryer and offers a fabulous open plan layout with dining and living areas leading out to your balcony. The perfect choice for 4 guests or 5 with additional bedding. These spacious ground floor apartments have direct access onto the pool deck area from their private terrace. 2 bedroom/2 bathroom apartments are equipped with a fully self-contained kitchen, laundry with washer & dryer and an open plan layout with dining and living areas leading out to your terrace. These apartments accommodate 4 guests or 5 with additional bedding. These large 2 bedroom/2 bathroom beautifully appointed apartments are located on the corners of the building have private balconies looking out to across the esplanade to 4 Mile Beach. The apartment is equipped with a fully self-contained kitchen, laundry with washer & dryer and offers an open plan layout with dining and living areas leading out to your balcony. Suitable for 4 guests or 5 with additional bedding. If you are arriving outside these times, please advise so after hours check-in arrangements may be made. Please note reception is closed on Christmas Day.